Names of eight Palestinian women, nominated for the Noble Peace Prize as part of the Project 1000 Women for the Noble Peace Prize 2005, were officially announced during a press conference that was held at the Palestine Media Center in the West Bank town of el-Bireh on Wednesday. The Noble Peace Prize was awarded for the first time in 1901 and up to now, it has been awarded mainly to men and to organizations, and only 11 times to women, said Rosmarie Zapfl–Helbling at the conference, adding that women are largely excluded from the sustainable implementation of peace programs, despite their reliability in such processes. The first woman to be awarded the Noble Peace Prize was the Austrian Bertha von Suttner in 1905, and now after 100 years, “We want 1000 women to receive this prize in 2005,” Zapfl-Helbling, the Project’s Selection Committee representative, told reporters. Helbling is also a member of the Parliamentary Assembly of the Council of Europe. Project 1000 Women for Noble Peace Prize 2005 aims at searching for 1000 women all over the world to be nominated for the Noble Peace Prize for the year 2005. The idea behind the project is to direct global attention to the vital role those women play in all aspects of life to build and support peace in their societies. 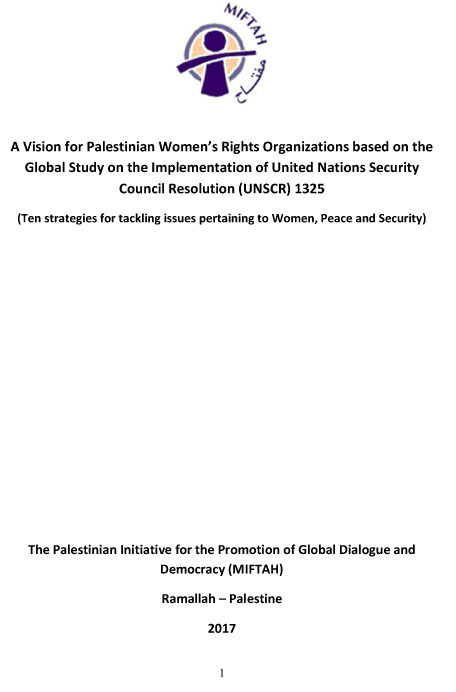 A nine-member “Advisory Council of the Association 1000 Women for the Noble Peace Prize 2005” was set up in Palestine a year ago. Faiha' Abdul-Hadi is the Project Coordinator. Announcements were published in local newspapers, and notices were sent to women’s organizations in the West Bank, the Gaza Strip and in the Palestinian Diaspora, inviting nominations, said Abdul-Hadi. The Advisory Council received thirty-nine complete nominations together with the requested supporting documents. A six-member Selection Committee was formed from professionals representing Palestinian civil society organizations and universities, who have no family or work relations with any of the nominees. The committee recommended eight candidates who were endorsed by the Advisory Council as the official nominees. As selection criteria, the Council agreed to recognize contributions to peace, demonstration of achievements under adverse conditions, and prominent social, political, community and cultural awareness. Representative of the Palestinian Selection Committee Randa Siniora read the names of the nominees: Isam Abdul-Hadi, Yusra Berberi, Nafeesa Al Deek, Zahira Kamal, Salma Khadra Jayyusi, Amneh Abdul-Jaber Al-Rimawi, Hanan Mikhail Ashrawi and Amneh Jibril Sulaiman. Abdul-Hadi and Zapfl-Helbling were joined at the press conference by Khadija Habashneh, member of the Palestinian Advisory Council, Randa Siniora, and Lea Valanlta the Peace Building Advisor at the Representative Office of Switzerland to the Palestinian National Authority (PNA). Valanlta said that it is important for women to search for peace and to find development strategies to create peace within their societies, adding that women have a vital role in their societies during conflicts. The situation in Palestine urges Palestinian women to struggle and challenge the conflict in order to get rid of the occupation, bring peace to their people and to achieve a democratic society free of all kinds of discrimination, Valanlta told reporters. “The idea was first created in March 2003 by Member of the Swiss Parliament (National Council) and the Council of Europe Ruth-Gaby Vermot-Mangold, who presided the Association 1000 Women for Noble Peace Prize 2005 later on,” Abdul-Hadi indicated. In May 2003, Vermot-Mangold started searching for regional coordinators for the project to hold the first workshop on the project in August 2003 to set up standards of the nomination for the prize. The initiative has gained international support by UNIFEM and UNDP and is under the patronage of the Swiss UNESCO Committee. The Association works in close collaboration with the Swiss Peace Foundation, where the main office of the project is located. The project will come to a close in 2006. Project 1000 Women for Noble Peace Prize has representations in 153 countries, including Palestine. The number of nominations depended on the population size of each country, but the countries that witness conflicts were given higher presentation as women in these countries bear bigger burdens in resisting violence and sustaining conflicts. The total number of selected women was 999. Woman number 1000 was left for the women who are still behind prison bars or still neglected behind social barriers, said Abdul Hadi. “Here we toll bells that Noble Prize isn't exclusive for men,” commented Khadija Habashneh. She was born in Nablus in 1928. She participated in the establishment of the PLO through representing the Palestinian woman in the meetings of the preparatory committee of the First Palestinian National Council in 1964; she was elected Head of the General Federation of Palestinian Women in 1965; She was detained by the Israeli Occupation Forces (IOF) and deported to Amman in 1969 after organizing a sit-in strike and hunger strike before the Church of the Holy Sepulcher in Jerusalem in protest against the killing of several women in Gaza by the IOF and she was the first woman to be elected member of the Palestinian Central Council in 1974. In 1981 she was elected Head of the General Arab Women Federation. In 1993, she returned to the West Bank with another 30 leaders allowed return. She was born in Gaza in 1923 and she was a teacher and became leader in social, political and educational activities in the Gaza Strip at a time women were denied access to public affairs. She speaks three languages and received B.A degree in Social Sciences from Cairo University in 1949 to become the first Gazan woman to get a university degree. 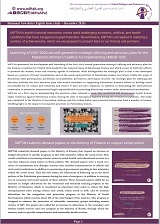 She initiated a programme to train teachers to develop to an institute for teachers in Gaza. She was Principal of the Women’s Branch of Gaza’s Open Public University and later became a social science inspector for girls’ schools in the Gaza strip. She was born in 1940 in Kufr Ne’meh village near Ramallah. She is a grassroots leader and political figure who spent her life for others. She was able to bring services to her village and surrounding areas that led to her house being used as a center for rehabilitation and teaching, sewing, knitting, embroidery and cooking for local women. As a political activist, she was detained by the Israeli Occupation Forces (IOF) twice in 1981 and in 1993 she was put on military trial. She overcame illiteracy by convincing an NGO to open up adult-literacy classes in her village in 1981. She raised money to develop the girls’ school in her village in 1986 and convinced her village residents of the importance of teaching their girls. She was born in Jerusalem in 1945. She is now PNA Minister of Women Affairs. She is active in the field of women rights and issues of peace and Palestinian struggle. She received her B.A in Physics from Ein Shams University in Egypt in 1968. She is deemed the founder of the Palestinian Federation of Women’s Action and represented it in several international conferences in many European countries and in Russia and the USA. She participated as advisory member in the Madrid Conference for Peace. She was born in 1927. She is a poet, literary critic and academic who was interested in spreading the Palestinian culture. She founded Prota (Project of Translation from the Arabic). For two and a half decades, she dedicated herself to translating this vision into a vibrant, successful project. She was born in 1957 in Beit RIma village near Ramallah. She participated in grassroots and labour activities, defending the rights of the Palestinian workers, especially the working Palestinian woman. She was Deputy Head of the Palestinian General Federation of Trade Unions until 1994 and now she occupies the position of member of the National Secretariat of the Federation and Head of the Woman’s Department in it. She was detained by the Israeli Occupation Forces (IOF) for two years (1991-1993) and was prevented from traveling for fifteen years (1982-1997). She was born in Nablus in 1946. She was appointed as spokesperson for the Palestinian Delegation at the Peace Conference in Madrid. She was elected member of the Palestinian Legislative Council for the Jerusalem constituency. She received her B.A degree in English Literature from the American University in Beirut and her PhD degree in the Middle Ages Literature from Virginia University in 1971. She worked in Bir Zeit University (1974-1995) and occupied the position of the Faculty of Arts in the Unversity (1986-1990). She was born in 1951 in Beirut, Lebanon. She received a B.A degree in English Literature from Beirut Arab University in 1977 and participated in organizing workshops on rehabilitation, Palestinian women’s affairs, illiteracy, child labour and gender issues. She worked with the UNRWA and started voluntary work with students in 1972. In 1982, she was elected Head of the General Union of Palestinian Women/ Lebanon Branch. Then in 1983 she became member of the Palestinian National Council.